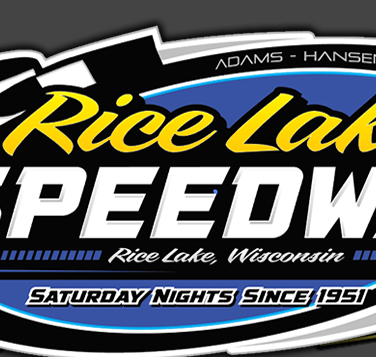 RICE LAKE, WI (July 11) – The Rice Lake Speedway returned to action after nine days off for the holiday and racing action saw three new, first time winners reach victory lane. All winning in close contests were Cody Kummer, Grant Southworth and Matt Leer for the first time while Jason Forehand and Nick Traynor returned to victory lane for the second and third times respectively. 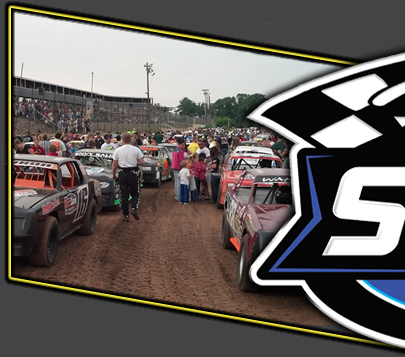 Racers will make a quick turnout for the second time this season as after completing Saturday night's program, racing will quickly return to the speedway with the special pre- Barron County Fair special event on Tuesday, July 14th. Kummer started on the outside pole for the Street Stock feature race but he was pressured from start to finish in the event which actually saw four cars running within a car length or two for the course of the race. Kummer and Jay Kesan raced side by side during the early part of the race, with Kummer edging ahead slightly at the start. Behind them, Adam Soltis ran third but Hunter VanGilder was on the move as he raced up from the fourth row and got up beside Soltis to battle him for position. Lap after lap, Kesan worked to get a nose under Kummer and finally he was able to achieve that goal which allowed him to pull up beside the leader. However, Kummer actually gained an advantage by having to move up the track slightly as he found that he ran faster just a little bit higher up the track. To Kesan's surprise, Kummer continued to motor on as they waged the battle for the lead. VanGilder was now beside Soltis so the top four cars ran tandem, nose to tail. Kummer refused to yield and he continued to lead but Kesan started to slow slightly and VanGilder moved up beside him as Kesan fell back a car length. Kummer continued to make his lane work but on the last lap VanGilder cleared Kesan for second and raced up to Kummer's rear bumper, which is where he was as Cody crossed the line as the winner. Soltis was also able to use the outside to edge into third on the final tour as Kesan faded to fourth at the finish with Josh Amans completing the top five. Kummer became the eighth different winner in the division this year. The speedway was only three laps away from seeing one of its youngest feature winners ever until Southworth was able to edge past Austin Ellis after another great battle had taken place in the Midwest Modified feature. Ellis started on the pole and jumped into an immediate lead as he pulled away from Kent Baxter. Nick Koehler and Southworth battled wheel to wheel for second with Shane Halopka, Travis Anderson and Ryan Viltz swapping positions behind the top three. Two quick yellows for spins kept the field bunched but on each green, Ellis would once again hold the lead. Southworth was working the outside lane and gradually he edged past Koehler to take over second and he then began to close on Ellis as the top six cars continued to run in a tight pack. Slowly but gradually, Southworth continued to gain ground on Ellis on the outside and by the midpoint of the race, they were racing side by side for the lead. Southworth continued his charge and he was able to edge into the lead, using the outside of the track in a crafty manner to gain momentum and edge past Ellis. Austin refused to yield easily and he tried to charge back as for the first time he went a car length down to the Bloomer car dealer. Unfortunately, as Austin pushed hard into turn one he caught one of the marker tires which grabbed his car and spun him out, triggering the yellow flag and ending for this night at least, Ellis's attempt for that first big win. With only three laps remaining, Southworth took off into the lead but now the driver on the move was Viltz. He jumped to the outside and drove past Koehler to take over second and he made a desperate last lap rush at the leader. His bold charge came up just a car length short as Southworth hung on for win number one in 2015 and became the seventh different winner in the class in 2015. Koehler settled for third with Halopka and Anderson trailing. Leer hung on for an intense, nonstop twenty lap Modified main event victory that saw some great racing throughout the pack and hard racing for the lead. Scott Miller and Steve Hallquist battled for the lead in the early laps with Hallquist eventually taking the spot. Leer then moved up to challenge for the lead as Kevin Adams worked his way to the front after starting in the third row and Dave Baxter following his tire marks as both moved to the front. Leer made a low move inside Hallquist and was able to take over the lead exiting turn four. Adams then moved in to challenge Hallquist also with both he and Baxter eventually able to slip past. Leer was moving away from the field at this point so when Adams finally gained second, he had some work to do to caught the leader. Lap after lap, he gradually closed the gap and Baxter was still closely tailing Adams as both moved into position to challenge for the lead. Adams tried both high and low and several times pulled to the rear bumper of Leer but just couldn't complete the the pass. Adams pushed the cushion higher and higher in an attempt to gain first, but each time Leer was solid in his groove and couldn't be moved. Adams made one last move on the final lap but the best he could do was get to Leer's rear bumper as Matt drove home for the win. Baxter finished a very close third with Hallquist and Mike Anderson next in line. Leer became the seventh different winner in the open wheel class this year. Forehand had things in hand for most of the Super Stock feature until two late yellow flags made things a little interesting. In the early laps, Forehand made a great move as he split John Erickson and Jim Cimfl and shot into the lead before one lap was completed. With clear track in front of him and no yellows to slow the action, Forehand quickly opened up a huge lead over the pack. Eric Olson eventually worked his way into second and tried to catch the leader, but his primary focus was trying to hold off Mike Anderson for second. They had a great battle for second for many laps as Anderson tried everything he could to get by, but Olson held him off and gradually pulled away from him. However, the driver on the move was Bart Steffen and he picked up the pace and moved past Anderson to take over third. Forehand lost his big lead when back to back yellows for spins set up a green, white and checkered finish. However, Jason powered away on both occasions as he drove home unchallenged for his second win at Rice Lake. Olson held off Steffen for second with Anderson and Jim Harris rounding out the top five. Traynor won his third Pure Stock feature on the year which ties him with Jason Havel for most wins. Havel finished on Traynor's rear bumper but couldn't make the pass that he needed for the win. The race was yellow plagued with two spins before a lap could be completed and Traynor taking advantage of all the shuffling of positions to come from the second row and take the early lead. C.J. Wagner raced into second but Havel was able to get past him and then close on the leader with Shawn Amundson also on the move. One last spin triggered a two lap sprint to the finish and while Havel was glued to Traynor's rear bumper, Nick made no mistakes as he drove on for the win. Amundson got past Wagner for third with Bob Thompson completing the top five. Racing on Tuesday, July 14th will begin with hot laps at 6:30 p.m with racing to follow. There will be no racing at the track on July 18th due to the Barron County Fair. Racing will return to the track on Saturday, July 25th with a special event on the card. For the second time this year, the popular UMSS winged and Traditional sprint cars will join the program in one of the shows that draws one of the biggest crowds of the year. A full program in all five divisions that race at the track weekly will also be on the card, along with full shows for both sprint classes. Again, hot laps begin at 6:30 p.m. 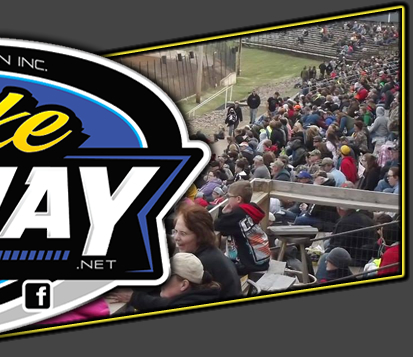 Check the speedway website for updates or the Rice Lake Speedway facebook page.